Many people think that we, just like all travelers and adventurers, are a rugged bunch of folks who are completely happy with camp food or budget meals. While this is true, we are also humans and wouldn’t mind getting a taste of something luxurious and elegant. The new 10 Dove Street in Oakridge Business Park affords us a great experience of haute cuisine without having to worry about our wallet. Technically, 10 Dove Street is a bistro, a small, moderately priced Parisian restaurant that is usually identified by the food they serve. Even from outside, we already felt the warmth and the hominess of 10 Dove Street. 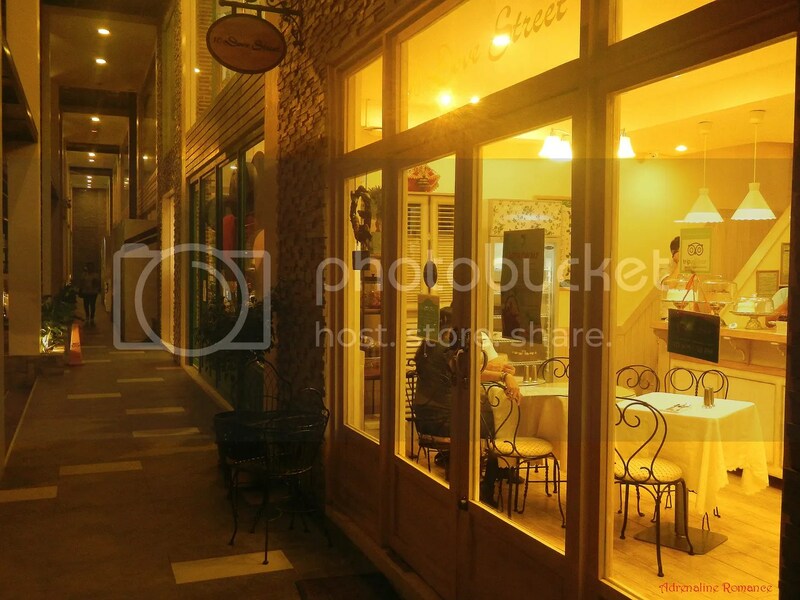 And yes, it looks very much like a classy, romantic Parisian café. With only a few tables, warm lighting, and yet exuding a cozy and relaxing feel, the place is perfect for a small gathering of friends and family. 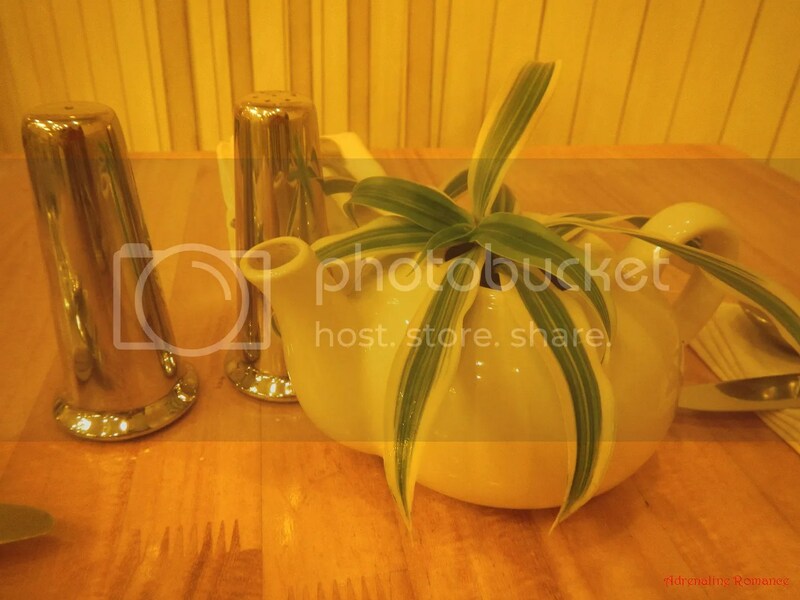 Prominently displayed in the bistro is this magnificently polished dessert bar which also serves as a counter. The weathered wood is pleasing to the eyes. 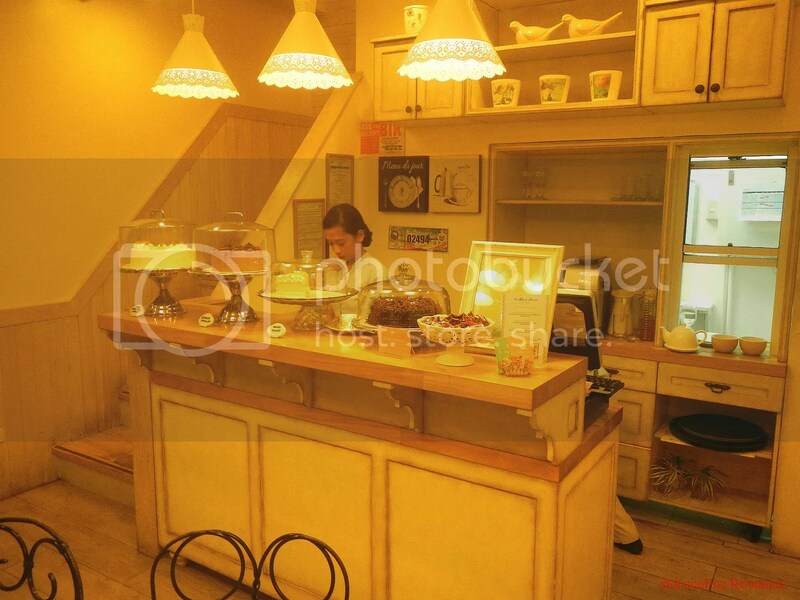 Lovely and tastefully decorated cakes are some of 10 Dove Street’s specialties. The offered cakes for the day are prominently displayed on the counter. 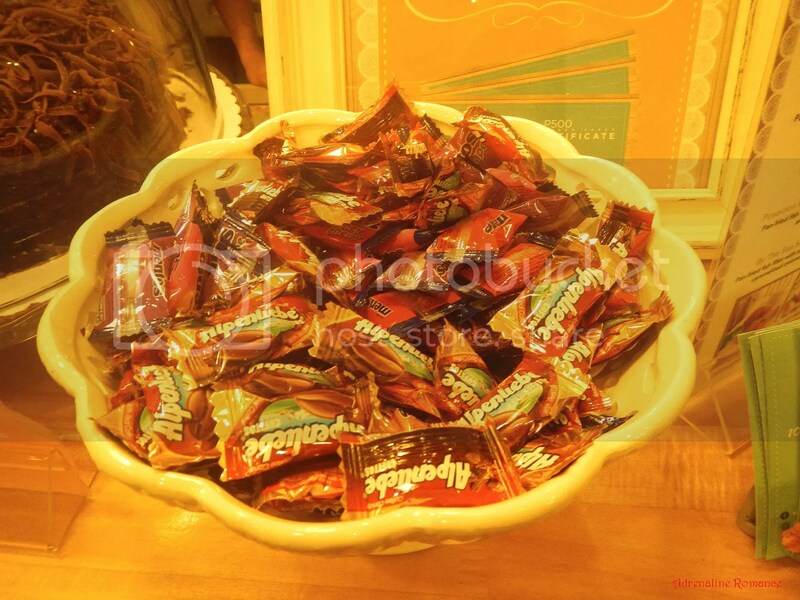 While waiting for orders to arrive, customers can munch on a few candies, which are complimentary. Of course, be considerate and don’t finish the bowl. Just take one or two. If there’s a concrete example of the word “dainty” and “tasteful,” then the adornments of 10 Dove Street truly take the first prize. 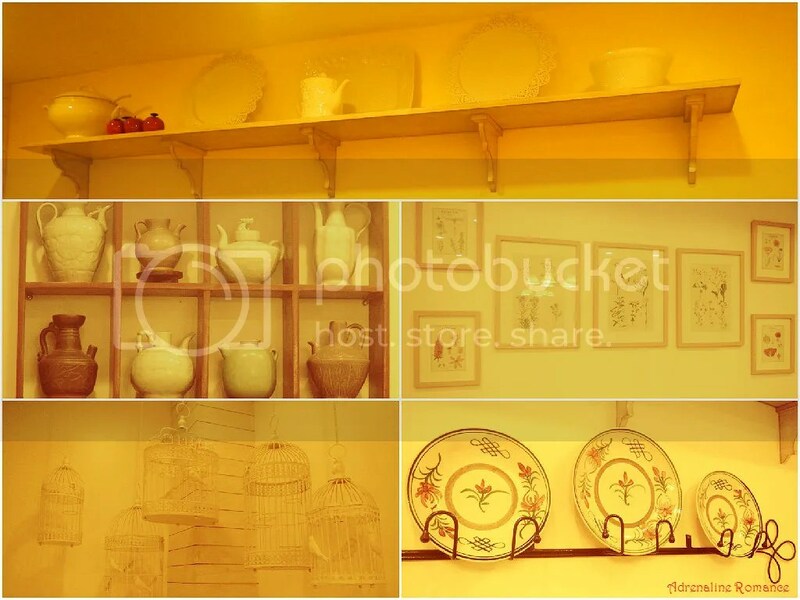 Look at all those beautiful pots, plates, picture frames, and more. They’re lovely, aren’t they? In fact, enjoying their decorations is an experience in itself! The main dining area is located at the second floor of the restaurant. Just check out that interior design! It makes you feel as if you are dining in a warm, rustic country cottage in Italy rather than in a restaurant. 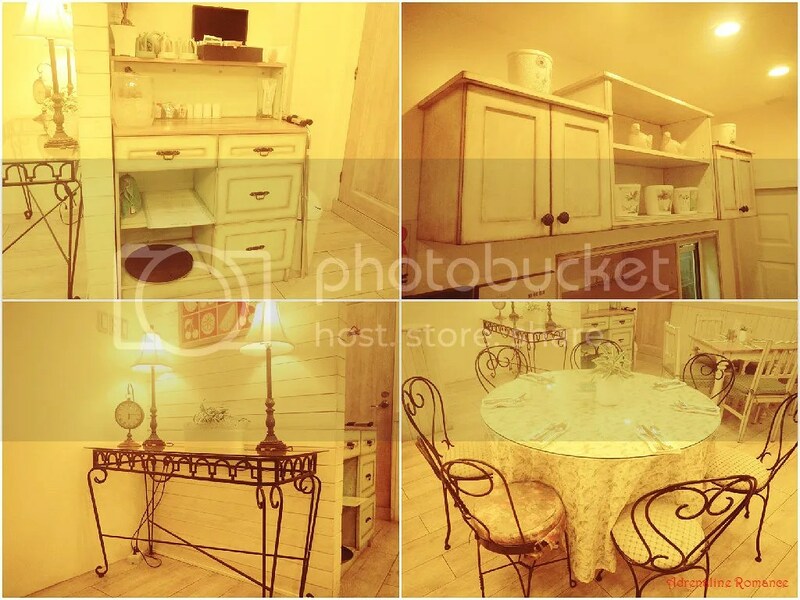 Detailed wrought iron furniture and aged wood cabinetry all add to the classical and quaint atmosphere of the place. The elegant decors, the warm glow of the lights, and the small but cozy place all combine together in a beautiful opus of loveliness and warmth. 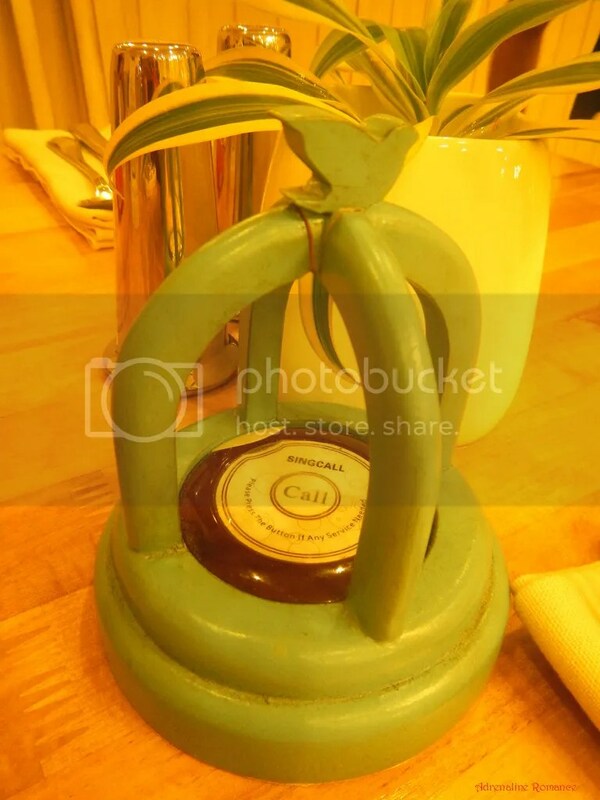 To make your dining experience truly exquisite as befitting to the place and the food, they don’t use run-of-the-mill stainless steel or ceramic eating utensils. In fact, they use silverware, glassware, and porcelain tableware that are generally used in 5-star restaurants and the mansions of the rich and famous. Table centerpieces are kept simple and small so they won’t get in the way of the real stars of any restaurant—the meals! Each table is equipped with this nice little wireless remote pager. Just press the button at the center and one of their friendly wait staff will be right there to take your order or address your concern. While waiting for the rest of the invitees, the staff served us their homemade iced tea, which, in our personal opinion, beats most other iced teas we tasted. 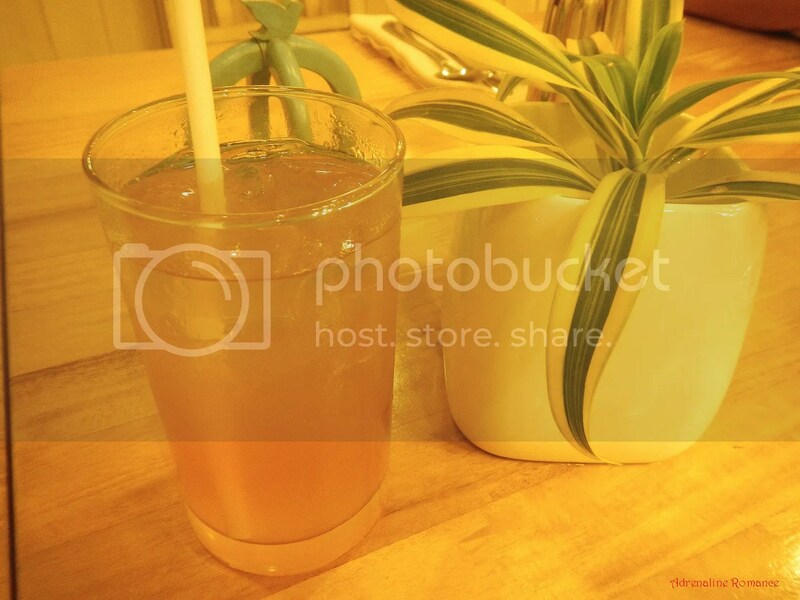 It is real tea, sweetened to the right consistency, then flavored with peppermint. It’s extremely cool and refreshing. After a few pleasantries, the bistro’s marketing staff recommended us their specialties. 10 Dove Street has a large array of delectable dishes. 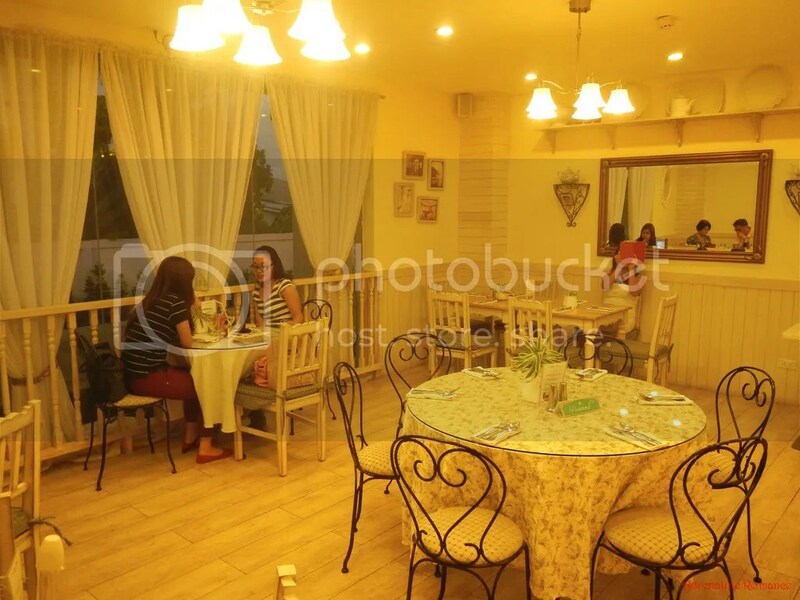 They specialize on mouth-watering pastas, sandwiches, and salads along with a variety of meat dishes. Choose one of the three main menus (10 Dove Street Experience, Kitchen Favorites, and Chef’s Specials) then fill in your order with food items that correspond to that menu. 10 Dove Street uses a unique Western multicourse serving style, greatly enhancing the fine-dining experience. This means, they don’t serve the orders at once. 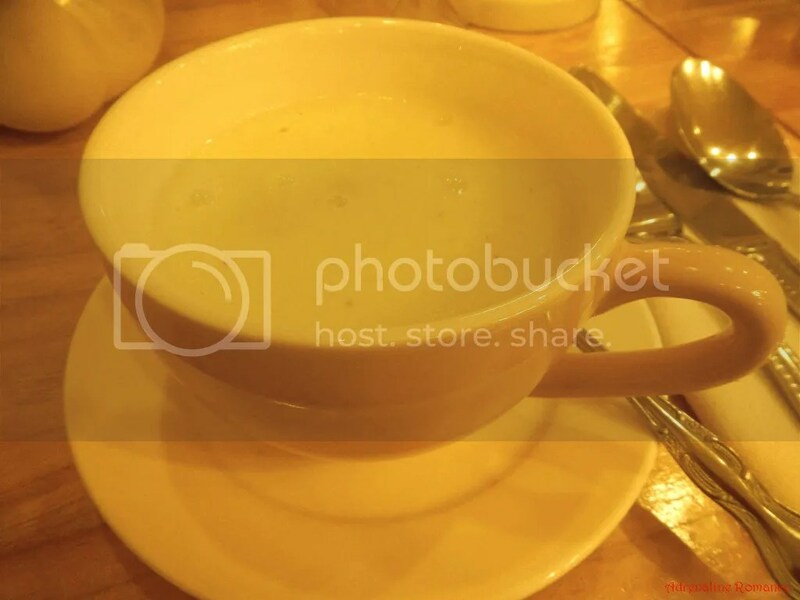 Instead, they initially serve you your soup to kick-start your appetite. Then comes the beautifully presented main course. After you finish your meal, they then serve you your salad, dessert, or both. Here, we were served with the first course, a bowl of hot soup. I ordered this thick and creamy clam chowder. Mmmmm! 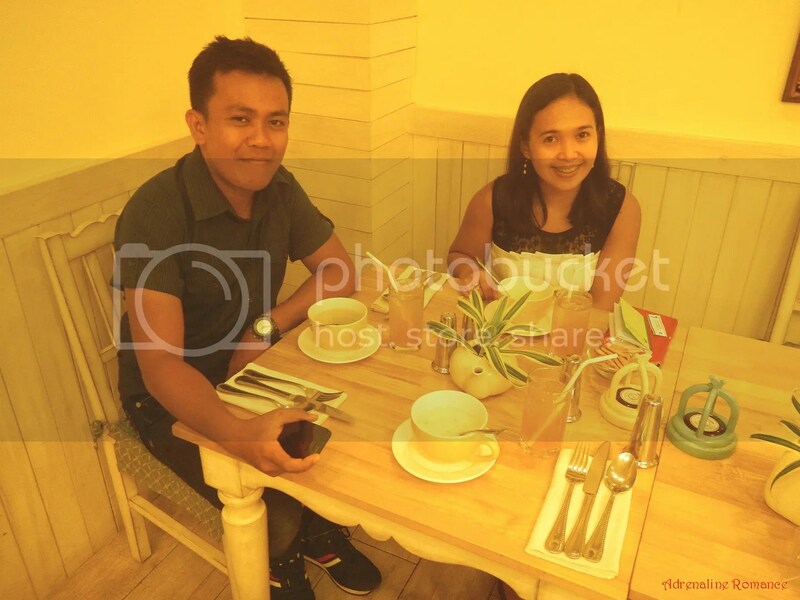 Sheila and my good friend Leylander of Hanging Rice and My Cebu Photo Blog ordered their own personal favorites. After finishing our delightful soups, 10 Dove Street’s incredibly friendly and knowledgeable staff served us our main meals. I’m mostly a meat-and-rice person, so I ordered Roast Bee Dylan, one of their most recommended meat dishes. 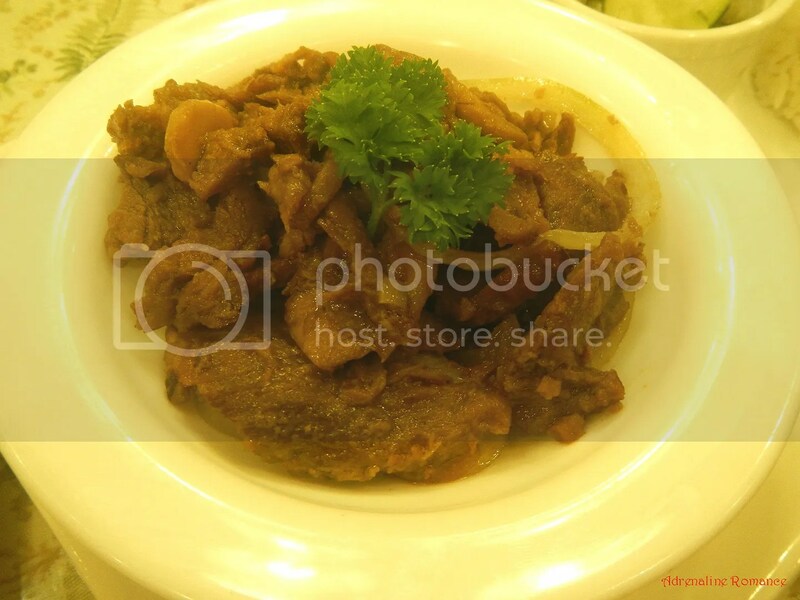 Pieces of sliced roast beef are smothered with sautéed mushrooms and onion. It was truly tasty; I just love how tender the beef is. Leylander ordered Seaside Delight, a linguini based dish with sautéed shrimps and broccoli and lightly tossed in olive oil. The dish is delightfully light and pleasant. Sweetie wanted something light, so she ordered a Light and Easy sandwich, which is made of eggs, relish, onions, lettuces, and tuna flakes. Sweetie ordered the classic 10 Dove Street Experience menu, which included a salad. For her salad, she ordered a healthy Asian Green Salad. The dish is a colorful mix of tomatoes, mandarin oranges, and lychees stuffed with pineapples. 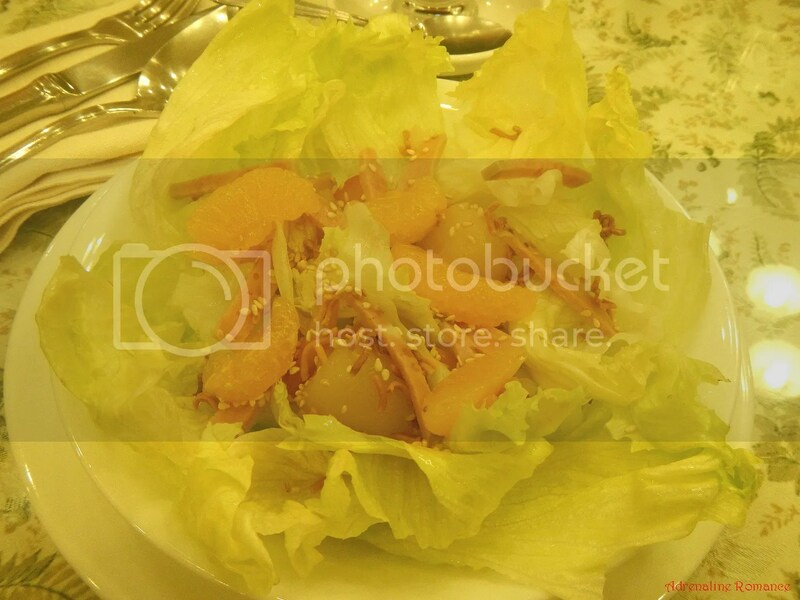 The entire mix is placed on a bed of lettuce leaves then drizzled with an Asian-inspired dressing and sprinkled with sesame seeds. We were definitely stuffed after eating our main courses, but our dinner wasn’t over yet! Our decadence cakes were served, and they’re sinfully sweet! We ordered a slice each of Opera, Ultimate Chocolate, Avocado Cake, and Mango Yogurt cakes. Thank you very much to the wonderful staff of 10 Dove Street for the complimentary Opera and Ultimate Chocolate cakes! Our verdict? 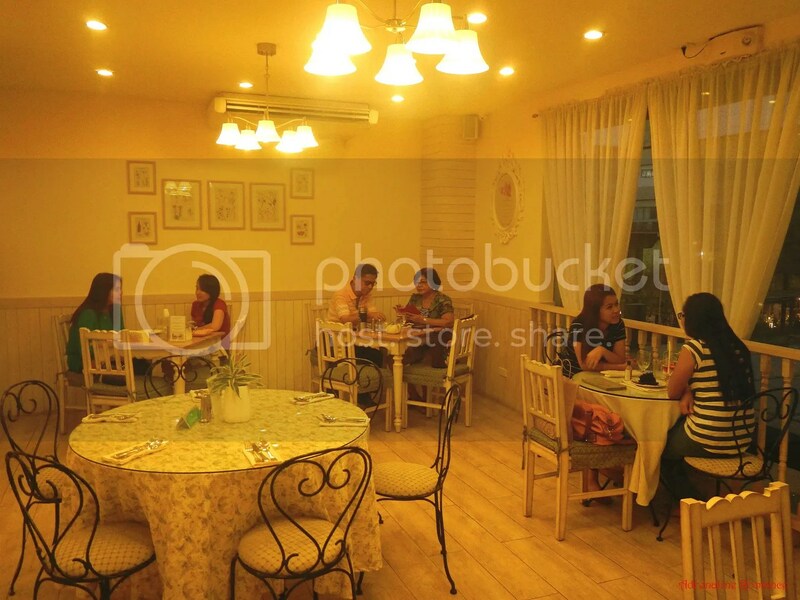 10 Dove Street is nothing less than the finest bistro in Cebu. Here, you will experience haute cuisine in the most romantic setting. The meals are simply superb; they’re seasoned to just the right taste. Now, considering that this is fine dining, you might think that eating here can rip your wallet inside out. That is certainly not the case! 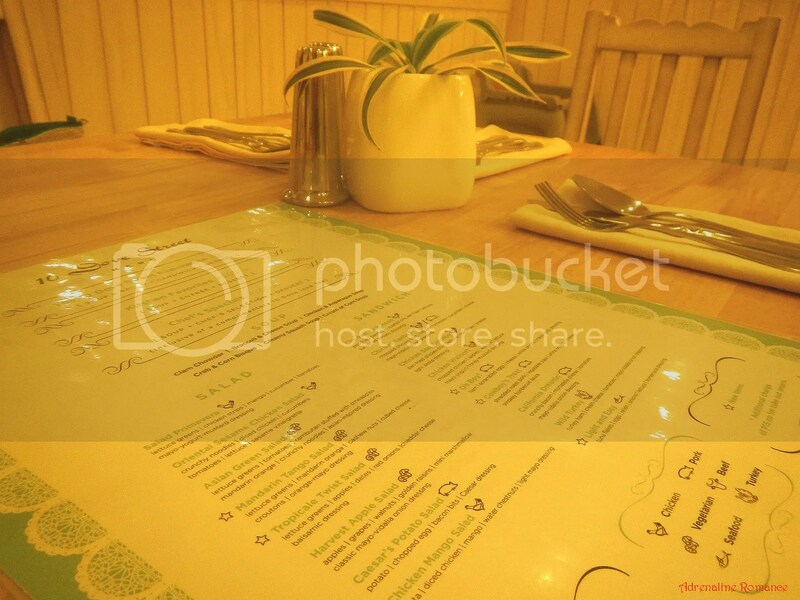 To our pleasant surprise, dining in 10 Dove Street is very affordable. 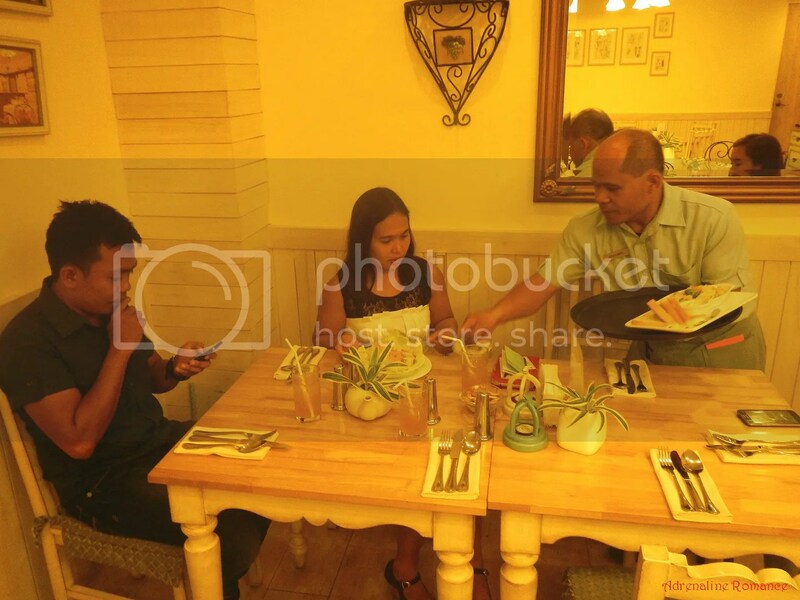 The three/four-course meal—entrée, main course and salad, and dessert—only costs P275 to P350! You do have to pay separately for the drinks, but hey, that price range is very affordable. Make 10 Dove Street a part of your travel itinerary in Cebu! Thank you very much, 10 Dove Street management and marketing staff for inviting us to visit your lovely bistro. The restaurant is open every day, 10 AM to 10 PM. 2. 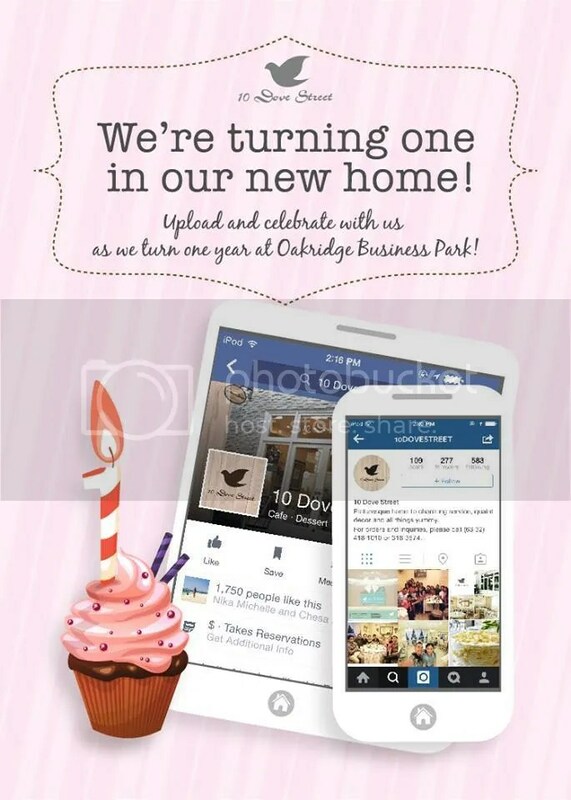 10 Dove Street will be celebrating its first year anniversary of its new home in Oakride Business Park on April 21, 2015. 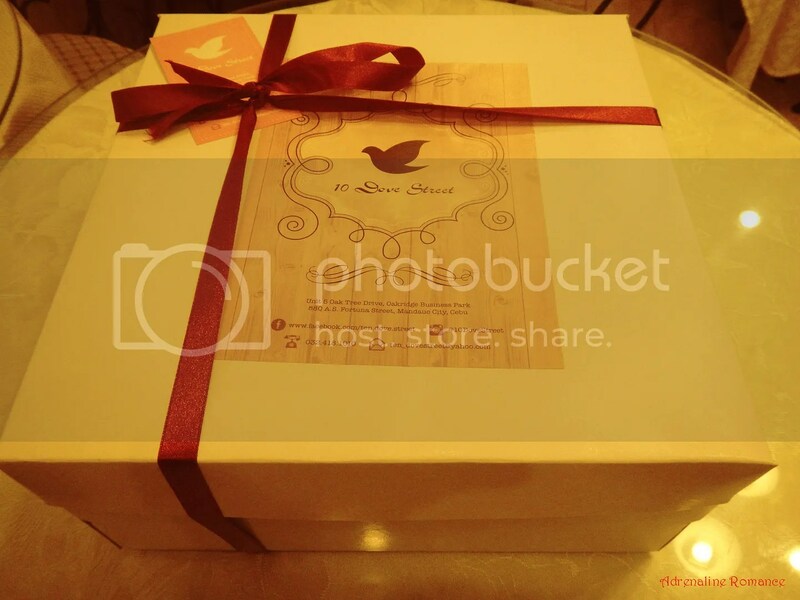 They have an exciting promo that enables you to win gift certificates from the restaurant. See more details in their Facebook page. 3. 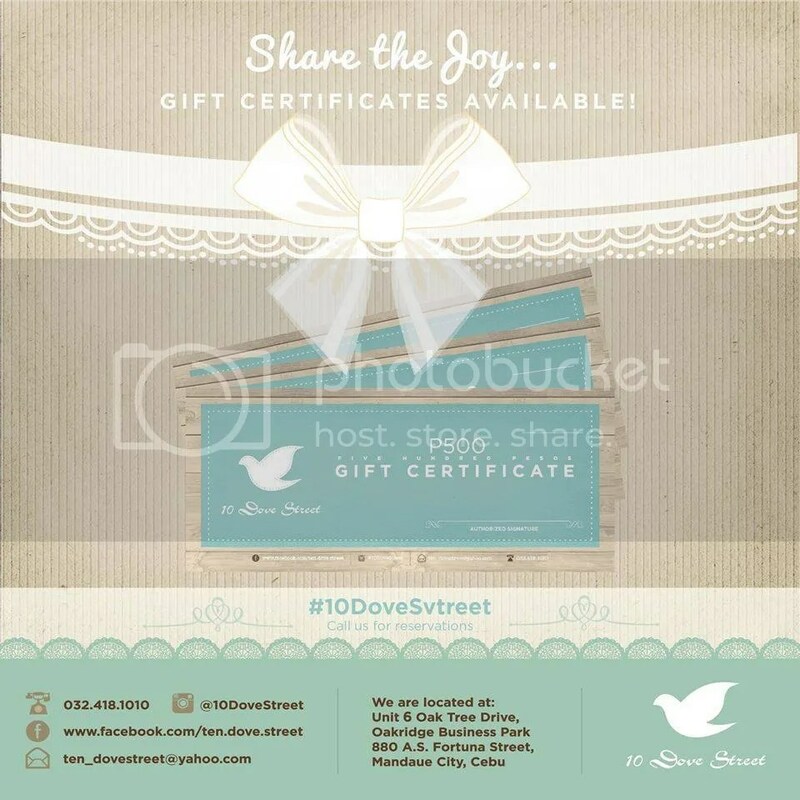 You can also buy gift certificates from 10 Dove Street. They are perfect for gifts and giveaways. I should go visit their new home! I’ve been to their previous place in Sto Nino Village and tried their 4-course meal and I must agree that it was one of the best foodie adventures I’ve had. Plus it’s super budget friendly! 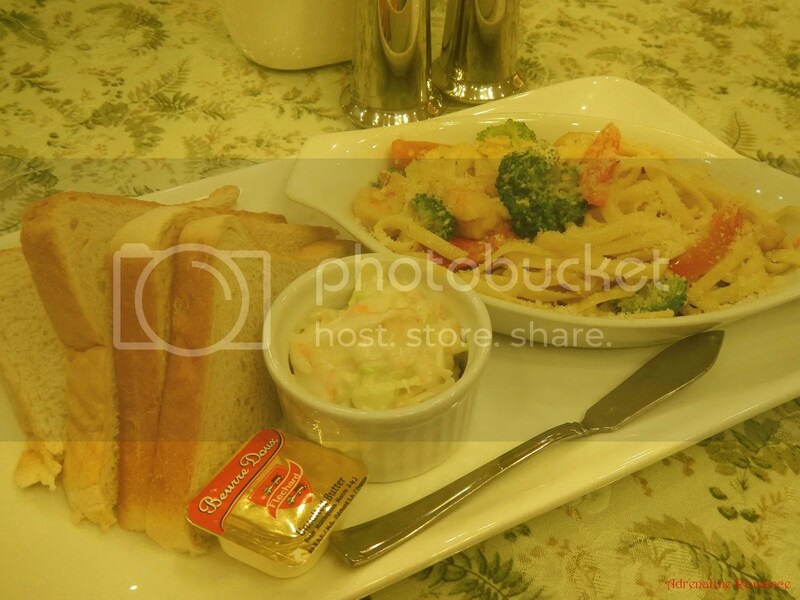 I remember I ordered potato chowder and shrimp sandwich and had the mango yogurt cake. Yum! Even before, their interiors were already lovely and now I see that it’s even better. We’ve been to their original place in Sto. Nino Village for an anniversary dinner with Sweetie a few years ago. Very romantic. This new 10 Dove Street perfectly captures the soul of the old. I love their set meals. The best! 🙂 I love having lunch at Oakridge since it is near our house. This place looks magical! I should visit this restaurant soon. It definitely is! For us, it’s a must-visit foodie destination. i loved their old place. it broke my heart when i learned that they moved somewhere else. lol. seriously, it did. but i like their set meals too. you think it won’t make you full but it actually does. Same here! Sweetie and I had our first anniversary dinner in the old 10 Dove Street. However, this place still perfectly captures the essence of the old. And the meals are superb as they always are. Oh my goodness those cakes look yummy! My friends have been telling me about this place. We should definitely pay it a visit. Please do! The place is definitely magical! And the food is truly delectable. The place looks dainty! I would love to celebrate my birthday here, girl and girl! Nice! That would definitely be cool. The place is really romantic as well. I love 10 Dove Street! 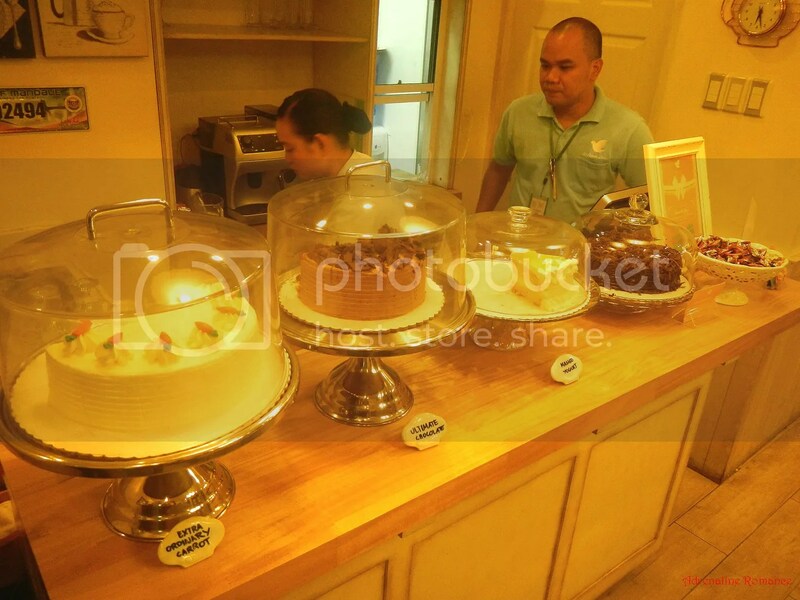 Their mango yogurt cake is my favorite, it is divine! Nice nice! 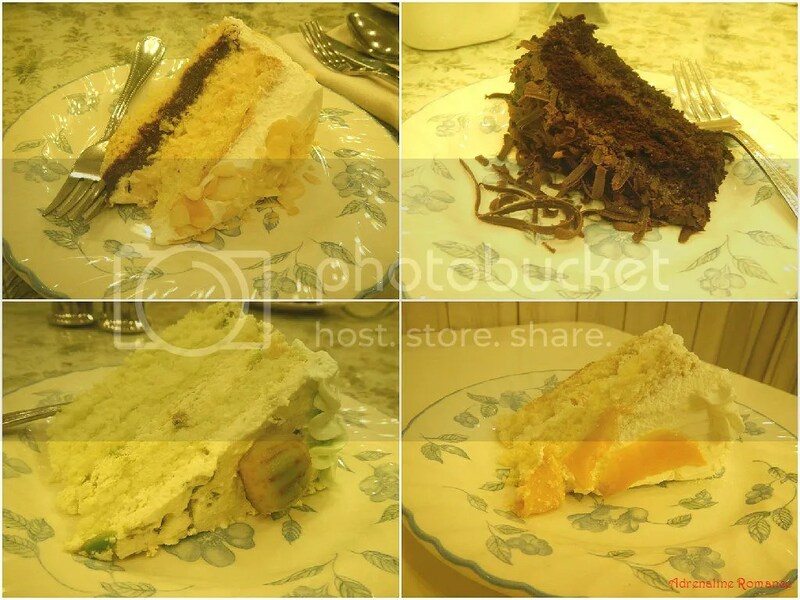 Our personal favorites are Opera Cake (Gian’s) and Avocado Cake (Sheila’s). It’s actually fine dining at an affordable price. Their multi-course serving style is really something that you should look forward to. Definitely! The interior is decorated and designed so that it would not feel as if you’re eating in a restaurant. 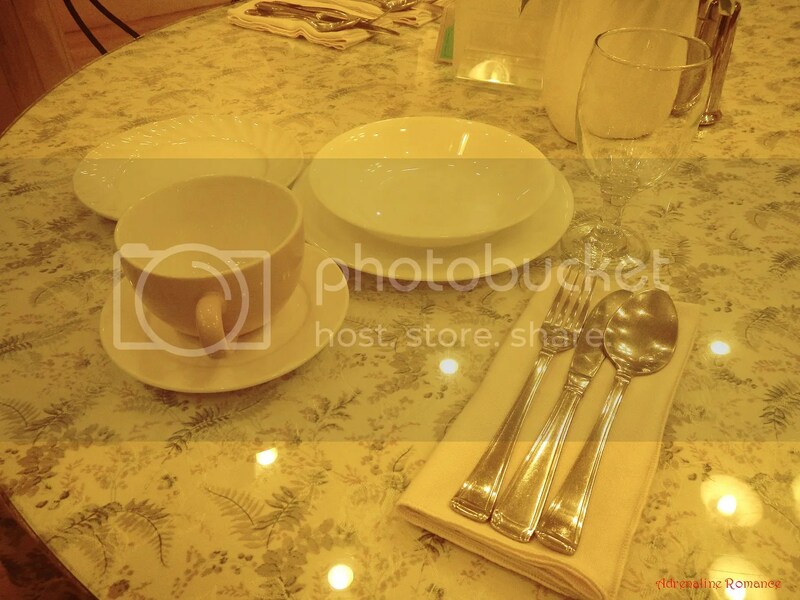 It feels like you’re eating in a Parisian cafe or European country home. Sure! The place is definitely lovely. And the food? Lovelier! 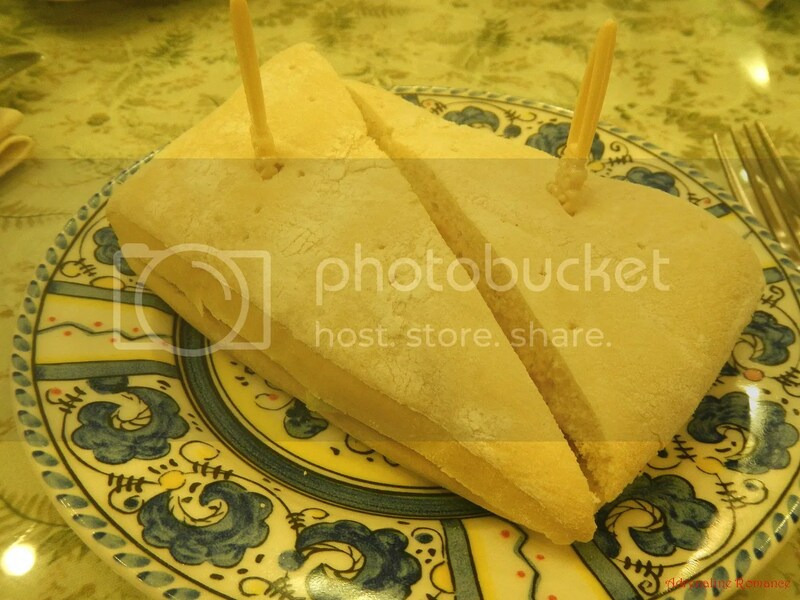 The multi-course serving is really unique and classy. It is a defining characteristic in 10 Dove Street. Hahaaha! Try their cakes; they’re heavenly! Love the interior and the food looks yum! Will check them out soon! Please do. You won’t regret it. This looks like a place I can imagine myself drinking tea in the afternoon. It exudes a romantic ambiance that I’d like to go here with special someone one day. It’s very romantic. In fact, Sweetie and I had our first year anniversary dinner in their old place a few years ago. The new 10 Dove Street still captures the essence and romantic feel of the old place. 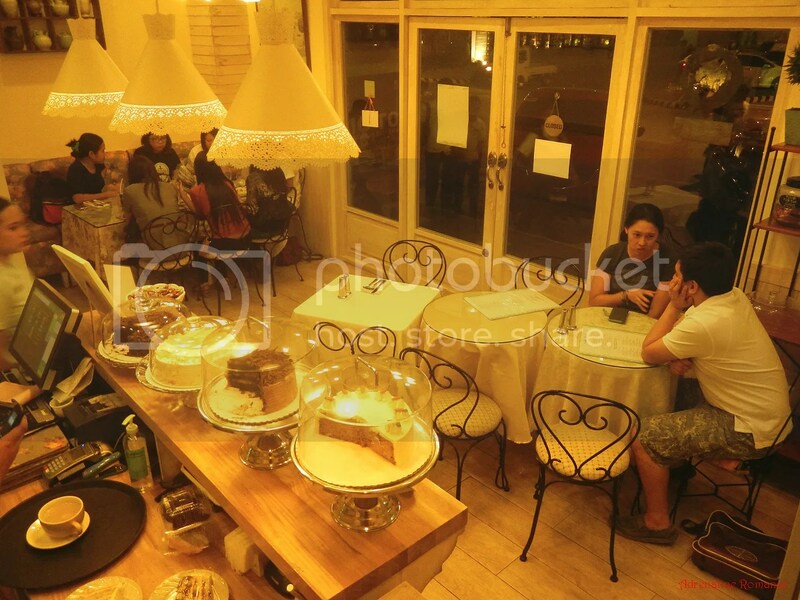 Their new location is nice, and they actually maintained the elegance and quaintness of their original facade. Since the bistro is rather small (we believe they want to keep it that way), it would probably be better to make reservations before going there to ensure a table. What would be the best time in going there? Anytime would be great. We were able to have lunch and dinner there on two separate occasions.